← It’s not Winter-y here in LA, but it is on my site! 1. Up In The Air – The only brilliant film for the year. Reitman has now made three sensational comedies in a row. One of the best starts to a career in recent memory. 2. 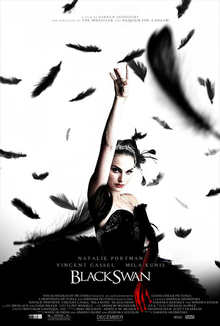 Black Swan – Aronofsky’s most mature film to date. Brilliantly handled, super ambitious, visually enchanting and very original. 3. The Hurt Locker – Tense, powerful and brilliantly realised. Interestingly Bigelow nails the male psyche better than male directors have been able to. 4. The Ghost Writer – Just a cracking thriller. Well paced, fantastically written and extremely engrossing. 5. Winter’s Bone – The best movies can help us understand the experiences of others, whose lifestyles are different to our own. This film takes us places we would only be willing to go in the movies. It features an unforgettable central performance and a heartrendering story. 6. Invictus – I’m going to cop it for this one, but no film gave me such a buzz of inspiration and optimism. It will be criticised by some for factual errors, but like the great The Damned United from last year, these films are about ideas not facts. Don’t watch it as a historical film but one about the possibilities of harmony and tolerance. 7. The Social Network – Beautifully crafted, well acted and crackingly well written. This may well be the smartest movies of the year, but while I appreciated it’s elements as a whole it didn’t impress me as much as others. I just didn’t care about the characters or take anything from the experience. 8. Toy Story 3 – Loved the first 2. Thought this one had superb moments, but the middle part in the day care centre didn’t work as well as the effective beggining and wonderful ending. 9. 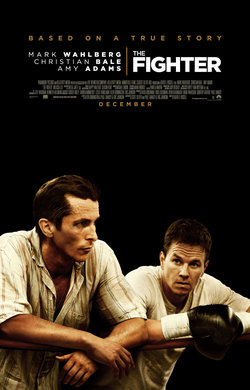 Animal Kingdom – Easily our best film for the year. Good storytelling, great performances and just well made. 10. The Kids Are All Right – I’m a sucker for a well-written and acted ensemble piece about the inner dynamics of a disfunctional family. Good film.